Government Adda 247 Government jobs Umed Umed Buldhana Recruitment for 94 Posts of Data Entry Operator, Accountant & Peon. 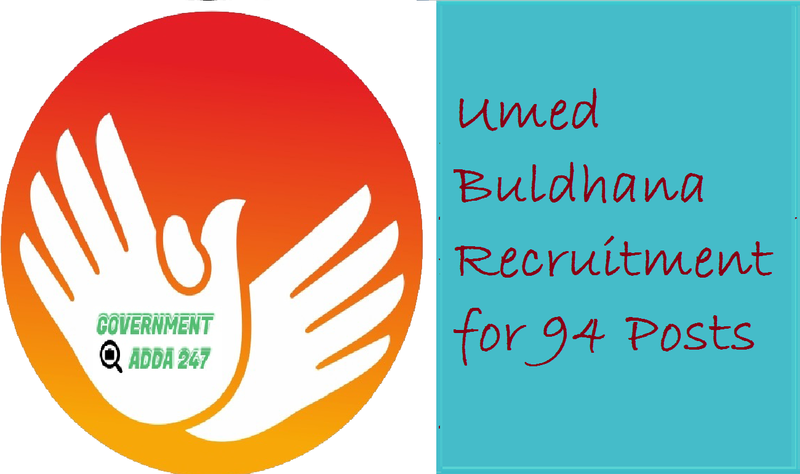 Umed Buldhana Recruitment for 94 Posts of Data Entry Operator, Accountant & Peon. Umed Buldhana Recruitment for 94 Posts - Apply Online. Umed Recruitment Maharashtra State Rural Livelihoods Mission (MSRLM Recruitment), District Mission Management Unit Buldhana, Umed MSRLM Buldhana Recruitment 2018 /Umed MSRLM Buldhana Bharti 2018 has released the notification for the recruitment of various posts in buldhana for 93 posts of Accountant, Cluster Co-ordinator, Administrator Assistant, Admin/Account Assistant, Data Entry Operator & Peon Posts. Eligible and Interested candidates can apply for the posts from the notification released and the last date to submit online application is 10 November 2018. To know more about the notification and the detailed advertisement check the information given below.